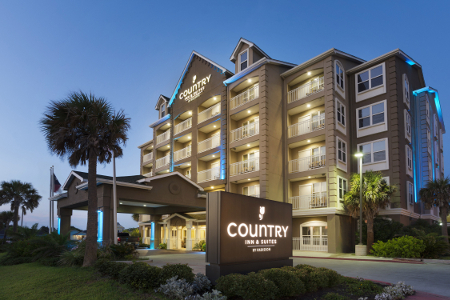 Located right across from the beach, the Country Inn & Suites® by Radisson, Galveston Beach, TX is a great place to start your vacation. Grab a free cup of coffee in the lobby each morning before soaking up some sun on the beach. Later, enjoy an up-close encounter with endangered plants and animals in a rainforest replica at Moody Gardens. When it’s time to unwind after a day of adventure, look no further than our hotel’s indoor pool. Traveling with family or need extra space? 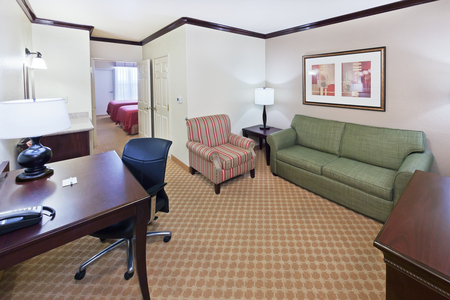 Reserve a One-bedroom Suite to enjoy either one king or two queen beds, a sleeper sofa and all standard amenities. 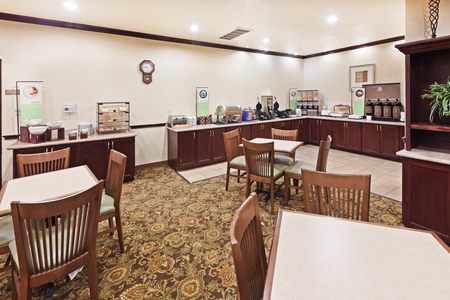 Our complimentary, hot breakfast features biscuits, sausage and fresh fruit. 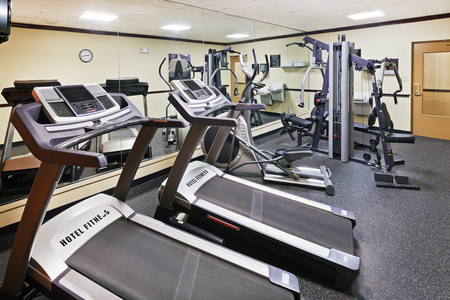 For lunch or dinner, stop in one of the restaurants within two miles of the hotel. Shrimp ‘N Stuff dishes out fresh seafood and homemade gumbos, and Benno’s on the Beach serves up Cajun-style food in a family-friendly atmosphere. Galveston Island Historic Pleasure Pier – Modeled after a similar pier built in 1943, the Galveston Island Pleasure Pier features 15 rides alongside carnival games and souvenir shops. From the hotel, you can walk about 10 minutes down Seawall Boulevard to take on the Iron Shark, a steel roller coaster with a 100-foot drop and a max speed of 52 miles per hour. Moody Gardens – Just 15 minutes away, Moody Gardens offers fun for the whole family. Three pyramids house an aquarium, a discovery museum with rotating scientific displays and a realistic rainforest exhibit. Stop by the 4D Special FX Theater for a viewing experience that stimulates all the senses, and enjoy a cruise in the Gulf of Mexico on board the Colonel paddlewheel boat. Schlitterbahn Galveston Island Waterpark – Beat the Texas heat at this waterpark located 15 minutes from the hotel. While towering water slides like the Screaming Serpents are always fun, the real highlight is the lazy river. The Kristal River flows through the entire park and allows you to reach any attraction.